2.4 How Often Should You Use It? 2.5 Who is it for? A lot of women resort to expensive skin care treatments to get rid of fine lines, wrinkles, and the other unflattering marks of aging. Although these effects are all natural fragments of the aging process, women all over the world go through the same problem. To eliminate these lines and wrinkles, some find botox injections and cosmetic fillers a quick resolve. The effects are evidently noticeable in a snap and can last for a few months or even a year. However, it demands a lot of money and the results aren’t always flattering: it can cause allergic reactions, nerve paralysis, and other side effects. Would you take the risk? Some would go for it. Fortunately, the beauty industry progresses and the products to effectively combat aging become a vast selection. 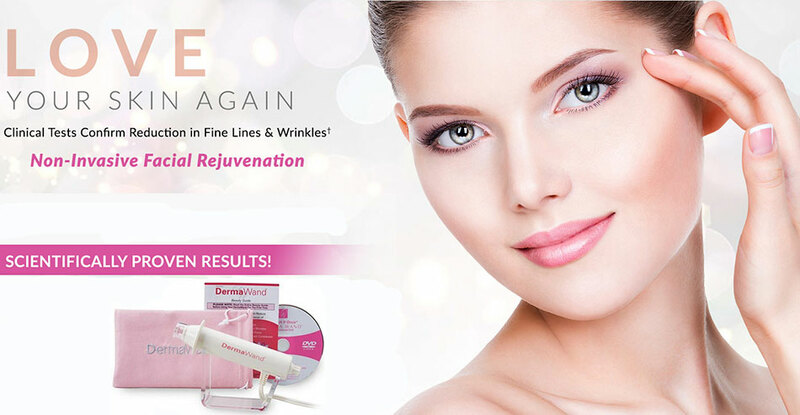 One of the incredible anti-aging products that you can try is the DermaWand Anti-aging System. Besides the anti-aging formulated creams and moisturizers, it comes with an innovative stimulating device that amazingly works like a magic wand! It softens fine lines and wrinkles and helps eliminate them eventually. It can improve the skin’s tone and texture. DermaWand can reduce pore size. It helps reduce wrinkles along the neck area. It makes the skin more toned, tightened, and lifted. It offers a painless anti-aging remedy. It is a significant step to study and learn about the beauty products before you try them for the first time. 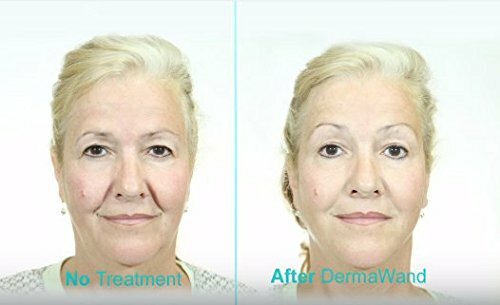 As per DermaWand Anti-aging system, countless reviews and personal feedbacks are indeed useful. But to guide you through with your first ever DermaWand or perhaps, still wondering how it works, we’ve provided an in-depth review to help you out. DermaWand is a radio frequency device that stimulates the skin’s surface. This kit also includes the five of the best-selling DermaVital beauty products: Preface, Hydro Infusion, Skin Mist, SKin Quench and Eye Recovery. It sounds exaggerated, but yes, it makes you look years younger. As it stimulates the skin, it releases thermal energy that reinvigorates the skin and makes it much healthier and more youthful. It reduces fine lines, wrinkles, and crow’s feet. Wrinkles along the neck area can also be diminished. When you’ve got puffy cheeks and laugh lines, this DermaWand also helps diminish those aging marks. It tones the skin, tightens it and lifts it beautifully to reveal a younger and smoother skin with a natural glow. The massage effect also contributes to the skin’s healthy blood circulation. It also enables the skin to absorb nutrients and oxygen efficiently. DermaWand is radio frequency device that provides stimulation on the face. With just one plug, the device automatically turns on. From how we’ve used it, DermaWand is programmed with different toning levels that you can adjust according to the area on your face or neck that needs toning. For the eyes, we’ve only set it on first toning level as it is a delicate part. To get the toning done the right away, it should also always start on the first toning level. This innovative beauty device delivers thermal energy as it drives in different motions all over the face. It is a warming thermal energy but it doesn’t feel like burning. It actually delivers a gentle tingling sensation that brings a comfortable and relaxing feeling. That’s what we like about it. No harsh or burning sensation. As what DermaVital tells about it, it does give off a fragrant, fresh, and clean smell as you use the device. It unleashes an enriched oxygen that cleanses the skin, reduces pore size, and leave the skin feeling fresh and clean. We tried using the device alone and with the DermaVital Skin Quench moisturizer. The face should always be washed and cleaned prior to using the DermaWand. Without a moisturizer it does a terrific job and doesn’t feel dry or uncomfortable. But we think it’s way better with a moisturizer. As it stimulates the skin, you can actually feel how the skin deeply absorbs the hydrating and anti-aging nutrients. DermaVital recommends using it twice a day for three (3) minutes. We do agree on this as well and we found that the best time would be every morning and every evening. It targets women around 30s, 40s, and those over this age bracket who are looking for an effective solution against fine lines, wrinkles, and crow’s feet. Women who also want to achieve a healthier, smoother, and softer skin can benefit from DermaWand. However, this does not provide instant effects and you’ve got to use it regularly to achieve the results you want. It varies from person to person though. If you’re patient enough to see the results, you’re fit for this. If you’ve just worked on your regimen with anti-aging products, DermaWand along with the skin care products included in the kit, would be a great way to start. The creams, moisturizers, and other anti-aging products sometimes don’t come as potent as they should. That’s why DermaWand would be a helpful tool to boost the effectivity of these products on the skin. We think it would also be an excellent alternative for expensive treatments like fillers, injections, and surgeries to eliminate the signs of aging. It’s painless and affordable! Neutrogena Healthy Skin Anti-aging Perfector Review! Olay Regenerist Advanced Anti-Aging Cream Cleanser: Is it Really Effective? Pure Biology Anti-Aging Night Cream: How Does it Benefit Your Skin?